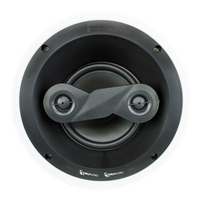 Revolve Series™ 3-way in-ceiling home theater LCR, 6 1/2" woven carbon fiber woofer, dual 2" woven carbon fiber midranges, 3/4" titanium tweeter, 5-125 watts, 8Ω. Sold each. 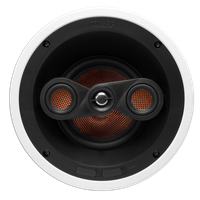 Revolve Series™ 2-way in-ceiling home theater LCR, 6 1/2" woven carbon fiber woofer, 3/4" titanium tweeter, 5-100 watts, 8Ω. Sold each. 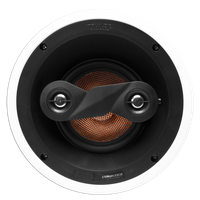 Revolve Series™ 3-way in-ceiling home theater LCR, 6 1/2" injected poly woofer, dual 2" injected poly midranges, 3/4" silk dome swivel tweeter, 5-100 watts, 8Ω. Sold each. 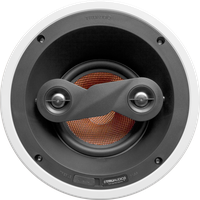 Revolve Series™ 2-way in-ceiling home theater LCR, 6 1/2" injected poly woofer, 3/4" silk dome swivel tweeter, 5-75 watts, 8Ω. Sold each. 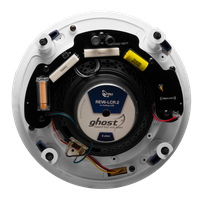 Revolve Series™ in-ceiling home theater bi-pole surround, 6 1/2" injected poly woofer, dual 3/4" silk dome swivel tweeter, 5-100 watts, 8Ω. Sold each. 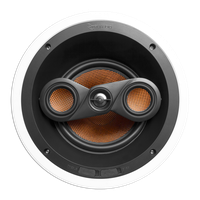 Revolve Series™ in-ceiling home theater bi-pole surround, 6 1/2" carbon fiber woofer, dual 3/4" titanium swivel tweeters, 5-125 watts, 8Ω. Sold each. 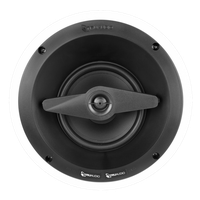 Revolve Series™ 3-way in-ceiling home theater LCR, 8" carbon fiber woofer, dual 2" carbon fiber midranges, 1" titanium swivel tweeter, 5-150 watts, 8Ω. Sold each. 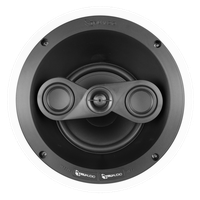 Revolve Series™ in-ceiling home theater bi-pole surround, 8" carbon fiber woofer, dual 1" titanium swivel tweeters, 5-150 watts, 8Ω. Sold each.